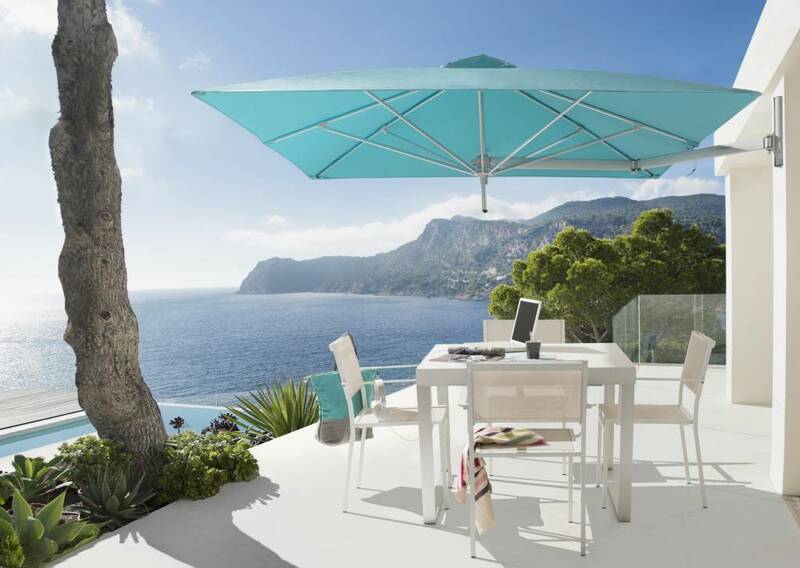 The Evolution Umbrella System takes flexible shade design to the next level. 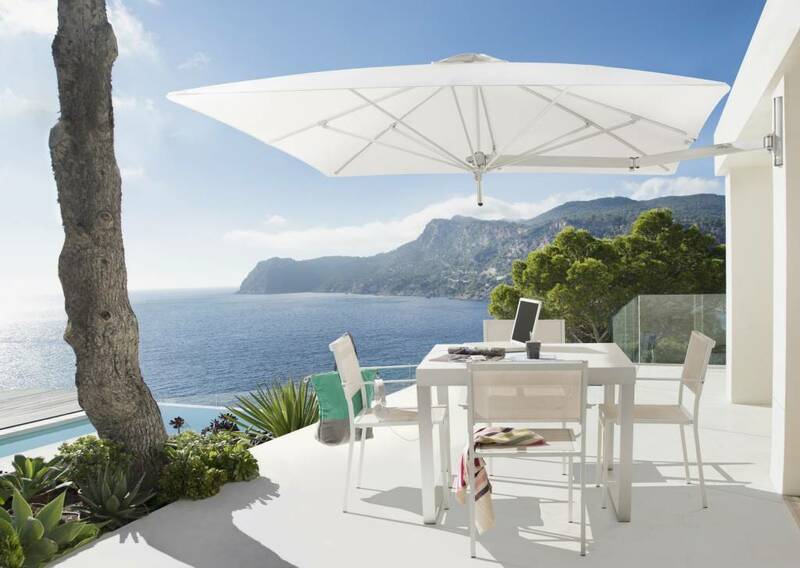 With lighter, larger canopies and an advanced articulated arm, this system provides additional functionality with sophisticated style. 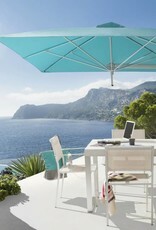 The centerpiece of this product is an updated, flexible arm and holder, which allows the umbrella to be finely adjusted. Mount an umbrella to a wall track, or mount 1-5 umbrellas to a pole.